Getting to know personal boundaries – Oh My Treat! Have you heard about drawing personal boundaries? You are probably confused about your right to set limits with other people. This is totally normal. Basically, you can have a mix of different boundary types. For example, you could have healthy boundaries in a social setting, porous boundaries in a romantic relationship, or a mix of all three types. You just need to adjust them according to time and place. What is appropriate to say at work may be inappropriate to say when you are at a more casual setting with your friends. Culture play important part in shaping different expectations when it comes to boundaries. For example, western cultures tend to keep more personal space and use less physical touch as compared to eastern cultures. So, put this into account. What I want you to take note is drawing personal boundaries are crucial to our psychological well-being. Taking care of your mental health is part of self-care. Personal boundaries influence your decisions making and protect you from undesirable behaviors (bullying, emotional, psychological or physical violence or abuse). Learn to find balance in your personal boundaries. Ideally, it should be strong enough to protect you but also flexible enough to allow you to have healthy connections with people. Be honest with your feeling! 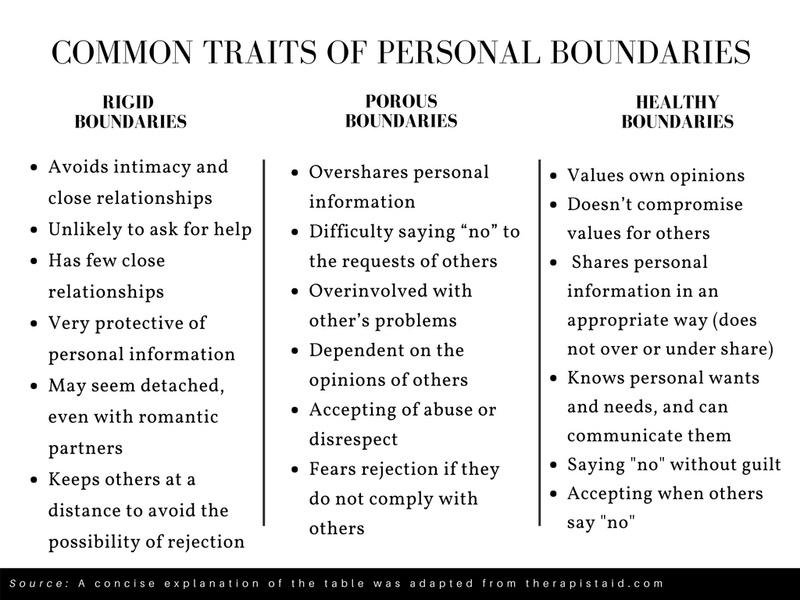 Although there’s a lot more to learn about personal boundaries, this article should be enough to get yourself started to learn the basic of personal boundaries. If you can master these tips, you will be able to maintain your healthy boundaries and more importantly, stay mentally healthy!